Editor’s Note: If you received this post earlier, that was in error. I accidentally clicked Publish Immediately instead of Update. The following post is the corrected version, including the real author, Eve Shulmister. I apologize for any confusion. 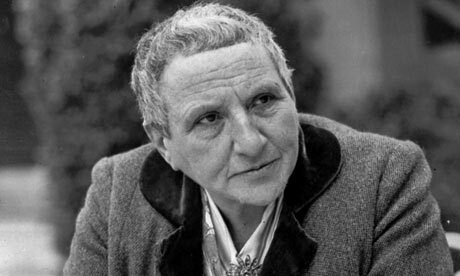 What is a writer’s voice, and why should readers care? If we were talking about music, you’d know exactly what I meant – how all it takes is one bar of Pink Floyd’s “Money” to identify the song. How recognizing their sound enables us to trust a band. And how trust is necessary for us to invest the time and money it takes to hear what musicians have to say. But writers? What about their sound? In essence, voice is what sets each writer apart. 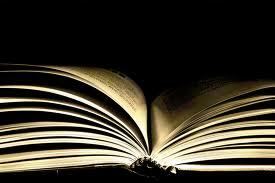 It matters because there are so many to choose from, and when we find one who moves us, we want to read more. What’s the bravest thing you ever did? He spat in the road a bloody phlegm. Getting up this morning, he said. This brief exchange between son and father depicts McCarthy’s concern for what constitutes a meaningful life. When the father spits tubercular blood, we know he’s not going to live much longer. Yet he feels it’s important to make a stand or go down trying. Note how spare the writing is and how punctuation is kept to a minimum. Survival depends on simplicity in a post-apocalyptic world. Thus, McCarthy’s writing doesn’t just call up this world but is of a piece with it. More impenetrable than ever, [Mr. Tulkinghorn] sits, and drinks, and mellows as it were, in secrecy; pondering, at that twilight hour, on all the mysteries he knows, associated with darkening woods in the country, and fast blank shut-up houses in town: and perhaps, sparing a thought or two for himself and his family history, and his money, and his will – all a mystery to every one – and that one bachelor friend of his, a man of the same mould and a lawyer too, who lived the same kind of life until he was seventy-five years old, and then, suddenly conceiving (as it is supposed) an impression that was too monotonous, gave his gold watch to his hair-dresser one summer evening, and walked leisurely home to the Temple, and hanged himself. 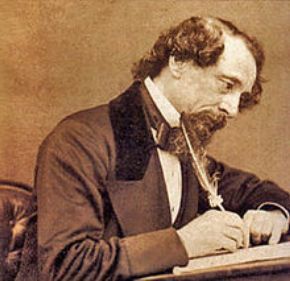 Welcome to Dickens’ world. This writing is as dense as Victorian decor with its heavy draperies and dust-gathering bric-a-brac. So many dependent clauses, all separated by commas. (Thank goodness for those commas. They tell us when to breathe.) Yet for all its sleep-inducing density the sentence ends with a shock. To me, Dickens’ “hanged himself” has as much impact as McCarthy’s blood. A more detailed answer to what constitutes voice includes a writer’s choice of character, setting and themes. Take the Wyoming-based stories of Annie Proulx. Those who inhabit her world often live one fluke away from disaster – “Cody Joe was her cousin, smart enough once, once of sweet disposition, but his brains scrambled four or five years before when a thousand-pound hay bale tipped off a stack onto him and his horse.” And such disasters happen often. In a Proulx narrative, the landscape sets the tone – “The air hisses and it is no local breeze but the great harsh sweep of wind from the turning of the earth.” And in this particular story (“People in Hell Just Want a Drink of Water”) the protagonist dies from a deadly combination of weather and hubris – one of Proulx’s signature themes. The stark quality of these elements (character, setting, theme) is what sets Proulx’s writing apart. 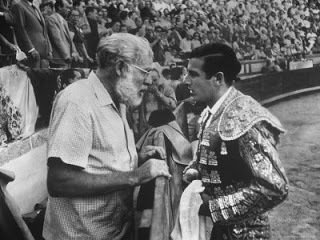 Hemingway with Antonio Ordonez in Madrid. The setting is Spain, during a bull-fighting fiesta and not long after World War One. American and British expatriates sit around a café table getting drunk. The war marked the end of innocence for Western Europe and these characters. Hemingway’s use of action verbs and repetition lends a tone of irony to what is basically a static scene. There are many elements we haven’t discussed: point of view – i.e., who is telling the story; the ratio of action to description and of character development to plot; not to mention the choice of subject matter (epic or intimate). Yet this is a good place to stop. The main thing readers need to know is there is such a thing as voice. Perhaps the next time you read a favorite writer, you’ll take a moment to think about setting and tone, the presence or absence of certain parts of speech, or sentence length. Better yet, read a page or two out loud. That’s the best way I know to hear an author’s voice. Over the last 10 years, have you changed your taste in writers? If so, why? This entry was posted in Craft and tagged Annie Proulx, author's voice, character, Charles Dickens, Cormac McCarthy, Ernest Hemingway, Gertrude Stein, minimalist style, parts of speech, punctuation, setting, theme, writer's voice, writing style. Bookmark the permalink.